Airports across Florida slowly came back to life Tuesday, two days after Hurricane Irma struck. Flights had landed at most of the state's major airports by 10 a.m. Tuesday, though none expected to be at full schedule before Wednesday at the earliest. The airports reported only mild damage from the storm. 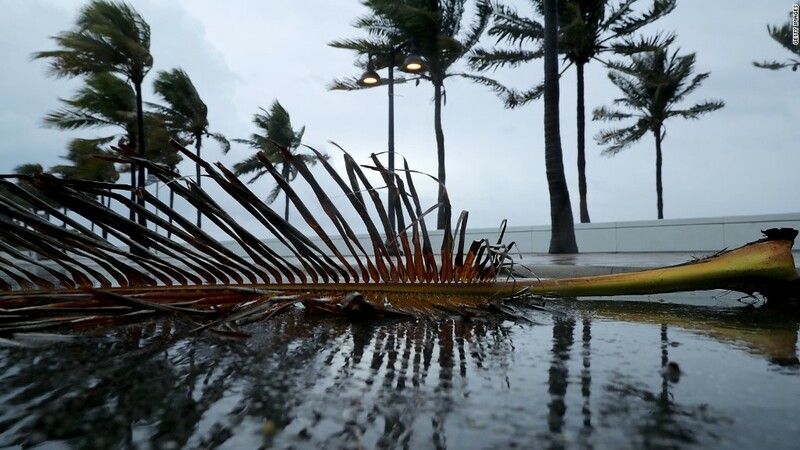 For example, Orlando International Airport said it suffered some water in the main terminal, torn canopies on departure and arrival curbs, and debris on airport roads. All the airports are owned by local governments entities. It's not yet clear how bit a financial toll Hurricane Irma will take on airlines, which will report lost revenue because of canceled flights. One piece of good news: Their losses will be mitigated by the fact that it's not peak travel season. As Irma moved north out of Florida, other airports in the Southeast also suffered flight disruptions on Monday. Atlanta's Hartsfield-Jackson International, the world's busiest airport, stayed open Monday but had widespread cancellations because of wind gusts up to 60 mph. Atlanta-based Delta (DAL) reported 1,100 cancellations throughout its system and more than 65 diverted flights Monday. It said it expects to start Tuesday with about 140 cancellations as a result of disruptions in Florida and Atlanta. Southwest Airlines (LUV), which has the second-most flights at Hartsfield, canceled all flights there after 1 p.m. Monday and resumed flights early Tuesday. At the state's largest airport, about 30% of the normal lineup of 1,000 daily flights are scheduled to resume Tuesday. Flights resumed Tuesday morning, though the airport expects only about 30% of its normal schedule of 400 daily flights. The airport said it expected limited service throughout Tuesday. It requested that passengers verify a confirmed seat assignment before arriving at the airport. Fort Lauderdale's airport resumed commercials flights Tuesday morning. Power has been restored to the airport, and airport officials were due to meet with airlines later Tuesday morning to discuss when flights could be resumed. Unlike other airports in the state, no flights had arrived as of mid-morning. The airport's flights resumed and it expects to ramp up operations throughout the day. It expects a normal schedule of 160 daily flights by Wednesday. One flight was able to get out Monday. Other airlines are resuming limited service Tuesday.